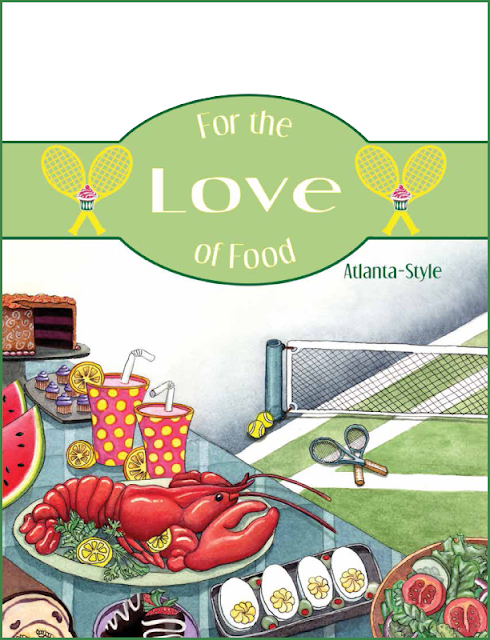 This Saturday 10/26, the Atlanta tennis community and top area restaurants, like Buckhead Diner, South City Kitchen and Luciano's (and more), will be launching a new cookbook, “For the Love of Food,” at a polo match at Union Hill Polo Club. All proceeds from the cookbook will go to Giving Comfort – a program of the McKesson Foundation that provides care packages (called Comfort Kits) containing comfort items to financially-disadvantaged cancer patients (women, men and children) undergoing chemotherapy treatment in the Atlanta area and nationwide. The effort, which has been led by a woman named Megan Holmes and others in the Atlanta community, has been a great way to mix a few things they love – tennis, cooking and giving back to the community. Megan, who works for McKesson Corporation has seen the impact of the Giving Comfort program and thought the cookbook would be a great way to support the program, particularly because of the great partnerships the program has with area organizations like Grady Health and Children's Healthcare of Atlanta. Members of the Atlanta tennis community and the area’s best restaurants will be launching “For the Love of Food,” a new cookbook featuring their favorite recipes, at a polo match at Union Hill Polo Club. All proceeds from the cookbook sales will be donated to Giving Comfort (www.givingcomfort.org), a program of the McKesson Foundation that distributes care packages, called Comfort Kits, containing essentials that help provide comfort to financially disadvantaged cancer patients undergoing chemotherapy treatment. Complimentary wine, beer, light refreshments, and non-alcoholic beverages will be available. Attire is casual. There is no admissions charge and donations are not being solicited. Just come, enjoy the polo and please buy a cookbook or two ($20 each) to support this wonderful cause! Cash, Visa®, MasterCard®, Discover® and American Express® are all accepted (no checks, please).